Bouganvillea is a piece of digital artwork by June Carey which was uploaded on January 13th, 2010. 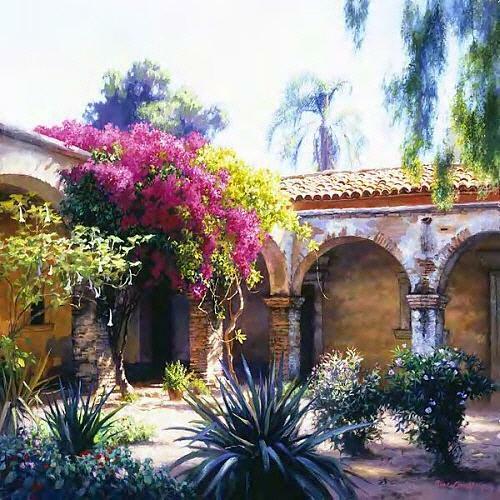 The artist has captured the solitude of this adobe courtyard at San Juan Capistrano Mission. This could be any adobe courtyard as you see yourself relaxing in the comfort of it's walls and arches. A beautiful image for any room in your home or office.